Part 1 of our Beethoven timeline follows the story of the composer's birth to his Symphony no. 2. 17 December: Beethoven is baptised in the church of St Remigius, Bonn. The date of his birth is not recorded, but since it was customary for baptisms to take place within 24 hours of birth, it is likely he was born on 16 December. 24 December: Beethoven's beloved grandfather, Kapellmeister Ludwig van Beethoven, dies. 8 April: Beethoven's brother Caspar Carl baptised. 2 October: Beethoven's brother Nikolaus Johann baptised. 26 March: Beethoven's first known public performance, in Cologne. His father advertised his age as six years, although he was in fact seven, probably to draw favourable comparisons with the child prodigy Mozart. He played 'various clavier concertos and trios'. 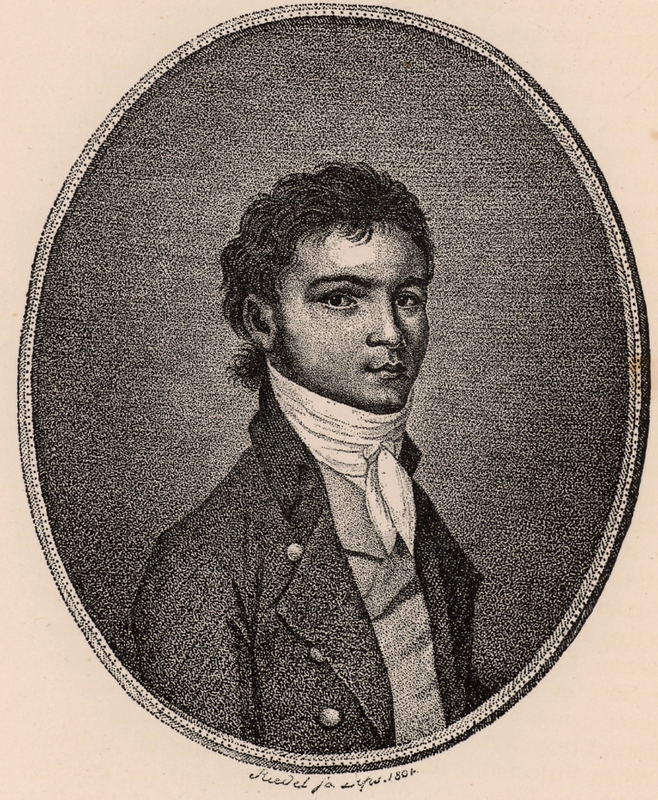 Beethoven begins lessons with Gottlob Neefe, who writes of him in Cramer's Magazin der Musik: "He plays the clavier very skilfully and with power [and] reads at sight very well... This youthful genius is deserving of help to enable him to travel. He would surely become a second Wolfgang Amadeus Mozart were he to continue as he has begun." 14 October: Beethoven publishes the three Kurfürsten Piano Sonatas, dedicated to the Elector of Cologne and Münster, Maximilian Friedrich. Beethoven appointed assistant court organist alongside Neefe. April: Beethoven achieves his long-held ambition to travel to Vienna to meet Mozart, almost certainly thanks to the intervention of his patron Count Waldstein with the new Elector, Maximilian Franz. Barely two weeks after arriving, and having impressed Mozart so much he agrees to take him on as a pupil, Beethoven has to return to Bonn where his mother is dying of consumption. By the time he returns to Vienna nearly five years later, Mozart is dead. 17 July: Beethoven's mother, Maria Magdalena, dies. Beethoven's father, Johann van Beethoven, a tenor singer, is forced to retire from the electoral choir, after his increased drinking ruined his voice. On one occasion, after becoming drunk in public, he was arrested - only to be released after Ludwig had pleaded with the police. Because of his alcoholism, he was ordered by the Elector to be banished to a village away from Bonn, and half his salary paid to Ludwig. In fact he remained in Bonn, and for appearance's sake he received his full retirement salary, making half of it over to his son privately. Beethoven composes the Cantata on the Death of Joseph II, and the Cantata on the Elevation of Leopold II. The musicians of the electoral orchestra refuse to perform the first, claiming it is unplayable. December: Haydn passes through Bonn on his way to London. He meets Beethoven, who shows him his scores of the two Cantatas. Haydn, impressed, encourages him to come to Vienna where, he promises, he will take him on as a pupil. Beethoven composes the Ritterballet, allowing his patron Count Waldstein to claim it as his own composition. Beethoven goes with the electoral orchestra on a trip to Mergentheim. On the boat, which sails up the Rhine and the Main, he is appointed kitchen scullion. November: Beethoven, one month short of his 22nd birthday, leaves Bonn for Vienna to study with Haydn. He has been given six months leave of absence by the elector. In fact he stays in Vienna for the rest of his life - never to return to his home town. 18 December: Beethoven's father dies. Beethoven begins lessons with Haydn. The city's most influential musical patrons - particularly Prince Lichnowsky - take Beethoven under their wing, and put him forward to take on the city's piano virtuosos in improvisation contests. One after the other he defeats them and quickly establishes his reputation as the finest piano virtuoso in Vienna. 1794 Piano Trios op. 1. Caspar Carl moves to Vienna. Beethoven begins composing Piano Trios op. 1. 29 March: Beethoven's first public performance in Vienna, where he premieres either his First or Second Piano Concerto. Beethoven performs the Piano Trios before Haydn, who is critical of no. 3, advising against publication. Beethoven is furious, but he heals the rift with his teacher when he dedicates the Piano Sonatas to him. Nikolaus Johann moves to Vienna. 1797 The beginning of Beethoven's deafness? Beethoven gives the first performance of Quintet op. 16 at Jahn's restaurant in the Himmelpfortgasse. In the summer of this year he falls seriously ill. It is possibly typhus and could mark the beginning of his deafness. In an extraordinary burst of creativity at the start of the year, Beethoven completes the Piano Sonatas op. 10, composes the three string Trios op. 9, the Trio op. 11, and the three Violin Sonatas op. 12. Later in the year he begins work on the Septet op. 20 and composes the huge Pathétique Sonata op. 13. Beethoven meets the double bass virtuoso Domenico Dragonetti, performing a cello (!) sonata with him. Beethoven composes his first String Quartets op. 18, and begins work on Symphony no. 1. Beethoven defeats the celebrated Prussian piano virtuoso Daniel Steibelt in an improvisation contest at the palace of Prince Lobkowitz, and is never again asked to take part in an improvisation contest. His position as Vienna's greatest piano virtuoso is secure and remains unchallenged for the rest of his life. 2 April: Beethoven's first benefit concert, at the Burgtheater in Vienna. He premieres the Septet and the First Symphony, and performs one of his two completed Piano Concertos. He also improvises on the piano. At the concert he meets Archduke Rudolph, accompanied by his mother, Empress Theresia. Beethoven begins work on Symphony no. 2. Beethoven composes music for The Creatures of Prometheus. Beethoven's great friend from his childhood in Bonn, Stephan von Breuning, moves to Vienna. 26 July: Elector Max Franz dies at Hetzendorf, Vienna. Beethoven subsequently changes the dedication of his First Symphony to Baron van Swieten. October: Ferdinand Ries, son of Franz Ries the leader of the electoral orchestra in Bonn, arrives in Vienna. Beethoven welcomes him and takes him on as secretary. Baron Braun refuses Beethoven his anticipated benefit concert. April: Beethoven moves to Heiligenstadt north of Vienna for the summer to relieve his hearing. In Heiligenstadt he composes the Prometheus (Eroica) Variations op. 35 and the three Piano Sonatas op. 31. He completes Symphony no. 2. 6 October: Beethoven writes the Heiligenstadt Testament, his last will and testament, publicly acknowledging his deafness for the first time ... "Oh, all you people who think or say that I am hostile to you, or that I am stubborn, or that I hate mankind, you do not realise the wrong that you do me...I am deaf ..."